If you would like to know what we can do for you simply call us on 01604 722 227 or contact us by completing our short form. Both my sons have developed in many ways from attending this A* Academy. I would like to thank Master Moss and all the team for all that they promote alongside teaching the skills in Tae Kwon Do. I am very proud of my sons and look forward to many years ahead with the academy. Since I have joined the Academy I have learnt to keep calm under peer pressure and I have learnt a lot over a short period of time.I hope I stay here for many years to come. At age 13 I was going on the wrong path in my life, but when I joined The Academy, I changed. I started walking on the right path and achieving goals that I was dreaming about before I joined. Thank you. Our son celebrated his birthday with a Party at the Academy. It was a fantastic afternoon -the feedback from all the children was great. it was excellent value for money and I would recommend to anyone who has a party to plan. My son attended his first Funday Competition recently and had a fantastic time. It was great to see so many families come along to watch and encourage eachother's children. There was a great atmosphere which really bought out the best in all the competitors. Every child who took part received a certificate and were made to feel proud of themselves. We are delighted with the progress our son has made since joining the academy, both in tae kwondo and in his behaviour. Before joining your academy, my son suffered from intense bullying, and thus lacked self-confidence, and suffered from low grades at school. After joining your classes, a noticeable improvement has been made. His grades have increased, and his general attitude at home shows a lot more positive feeling in himself. When first joining, my son had a problem with his temper. Your academy has given him focus, control with his temper, and ability to release energy built up. Your one-to-one conversations with him also aided his teaching considerably. Since joining the academy, my son has grown from a child lacking in self confidence to one able to do things that we thought not possible. He still has some things to develop, but I am confident your academy can help. I would like to express our sincere thanks to you all for enabling Cameron to succeed so well at your academy especially bearing in mind his difficulties with bi-lateral co-ordination, balance and stamina, due to his dyspraxia, hypermobility and low muscle tone. I am happy for you to pass this message on to anyone whose child has special needs. We would like to take this opportunity to thank you for all the effort you put into the teachings at the Academy. You provide the pupils with opportunities to learn much more than Tae Kwon Do by teaching principals, respect, manners and self confidence. In November our daughter was presented with her Junior Black Belt and it was one of the proudest moments in our lives. She has turned into the most respectful and grown up child that anyone would be proud of. We feel this is mostly due to The Cargin Moss Black Belt Academy and all the people who attend it. I have been bullied in school and I had 10 cuts. Next morning I got bullied again but this time I behaved in a mature way....and had no cuts. 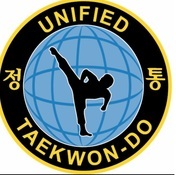 I am very happy that I know Tae Kwon Do. Thank you. We are proud of our standard and the work we do at the academy and would love to have your comments on your experience with us. Please fill in the testimonial form below. 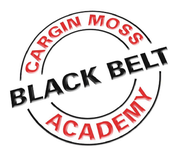 If you would like to try the Cargin Moss Black Belt Academy experience FREE OF CHARGE please contact us to discuss the INTRODUCTION TRIAL programs that we have on offer. Simply call us on 01604 722 227.